If you are passionate about beauty, there is no better place to start your business than the cosmetics industry. Becoming a microblading artist is a career where with all the techniques, methods and makeup available today, you really can develop your own style and profit from your skills. Especially when it comes to the revolutionary technique of microblading. The climate of permanent and semi-permanent treatments is gaining so much momentum, it could become a great place for starting a new business venture. Even if you already own a cosmetics salon, investing in a popular service like this one makes sense. In both cases, your passion for beauty will drive you to succeed. It may even position you at the very top of the business. But to reach the top, there are certain things you will need to do. The first step in becoming a successful microblading artist is getting certified. Working towards a certification opens you up to a high level of craftsmanship desired by clients. To achieve this you will have to invest time and energy into education and practice (and even more practice). Apply for our 2-day microblading training or our microblading training online and get the knowledge you need. Constant education gives you an edge in terms of both knowledge and application, while practice develops your skills into a signature style. In an industry with so many service providers, this level of professional dedication makes you stand out from the competition and get noticed. 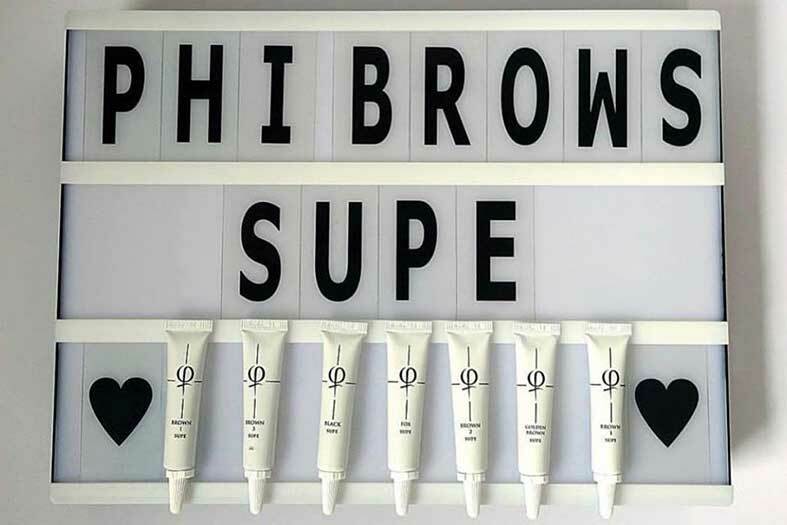 While there are many centers for microblading where you can get certified, few have an international reputation like PhiBrows Academy. Their microblading certificate translates into quality, both in terms of providing a world class education and a guarantee of exceptional service by their students, future microblading artists. That’s why at Art of Beauty Academy, our classes prepare students for the certification made according to PhiBrows standard. A mentorship with a microblading master artist is another way to gain additional know-how and experience. The microblading community is a helpful one, and established microblading artists are always looking to share their expertise. So, applying for mentorship is easy as reaching out to a local master or artist. Once you start, take up as many tasks as you can. The more challenging the task is, the more you will improve. Also, don’t be shy to ask questions. The answers you receive will in detail explain how to improve your skills, you can’t learn any other way. However, being a successful microblading artist also requires you to look beyond technique and skill training. Observe and take notes how your mentor operates the business. 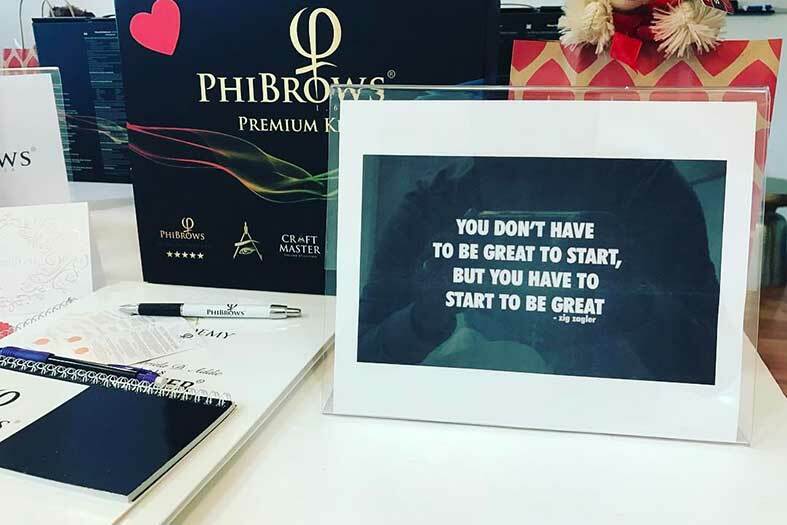 It will give you a better understanding of day-to-day operations, best practices and lessons usually not covered by PhiBrows microblading courses, like taking care of finances, earning new clients and marketing. Quality breeds success, and when it comes to microblading your equipment can really make a difference. Quality tools and product influence how you work and improve its quality. You may have a spotless technique, but it doesn’t count if a brow you microbladed vanishes or changes color within a month, due to your low-grade equipment. Similarly, if you don’t invest in your tools regularly you might provide a service which is slow or outdated. Since new semi-permanent makeup products and microblading tools are developed each day, following the latest developments is also a prerequisite to stay ahead in the industry. For example, before PhiAcademy developed its SUPE formula for pigments, it was really hard to treat natural blondes. Once it entered the market, artists realized the advantages of this new pigment formula had an increase of clients with blond hair. Make it your mission to try out a new item each month. That way you can find something which can contribute to your signature style. It could make your treatment better, faster, more precise or less painful – all qualities clients look for in their microblading artist. As a new microblading artist entering the microblading business, you need to make your services visible. How will you attract clients otherwise? The most cost effective way you can market your business is by doing it online. Established artists have a website and a substantial social media presence. You might want to start small by creating a following on Facebook and Instagram, and then moving to more advanced levels of marketing. Combine your website with PPC ads on Google and Bing, merge it with social media, and you are set to succeed. Potential clients will start engaging on Instagram and Facebook for the visual content or notice your ads while browsing, get informed on your website, and contact you to book a treatment. In three steps, you can get more clients with a minimal investment of time and money. Furthermore, you should encourage your clients to leave the honest reviews of your work and rate how satisfied they are with the service or training you delivered to them. Honest testimonials are the quickest and most genuine way in building a brand reputation. Despite its potential, you will initially fill multiple roles at your microblading start-up, and marketing can require a lot of effort. So, keep it small at first. If you still can’t manage, take some money aside and hire a successful marketing agency who will do the job for you. Still, the best marketing you can do is – build a reputation. A good one. After you land your first few clients, make sure to give it all you’ve got. After all, that’s why you’ve been doing all of this in the first place. Remain passionate and there is no doubt you will succeed on your journey of becoming a successful microblading artist. 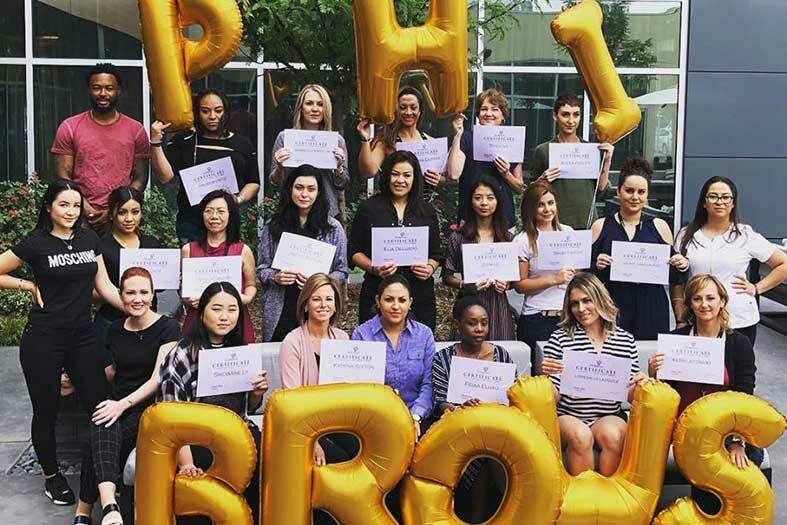 Interested in becoming a successful PhiBrows Microblading Artist? Book a training at our Academy and start your journey to success NOW!